RF Jammer model MS2-POR enhances our line of cellular jammers with directional RF Jamming on specific areas. That means our RF Jammer can focus energy where the user intends to jam, directing RF Jamming signals on areas of concern. This greatly decreases the chance a call will be able to remain in progress, as our RF Jammer now offers this enhanced directional feature. RF Jammer model MS2-POR can be used to jam RF signals for cellular phones all over the world. 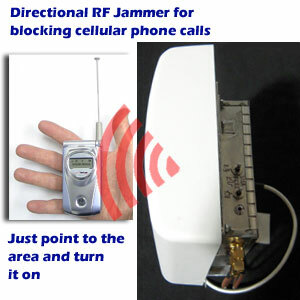 Some cellular jammers work to disrupt calls based on the principles of RF Jamming that involve a denial of service attack. Yet when dealing with our RF Jammer to target a cell phone, there are other factors involved. These factors are becoming more apparent as other manufacturers offer RF Jammers with the notion that a high power method of RF Jamming will accomplish a denial of service. Yet more and more of our clients are learning a better way to use cellular jammers involve the distribution of the right energy in order to overpower the cellular phone without wasting excess energy. What is the right amount of energy? Cellular Jammers, no matter where you procure them, will all disseminate RF interference. Yet not all RF Jammers will give off the correct amount of energy that is required to stop a call in progress or a call that is attempting to make a connection. That said, the MS2-POR RF Jammer was designed to operate beyond the regular standard that RF Jammers utilize. Using a directional antenna component, this RF Jammer can now direct its RF Jamming signals in a manner used to isolate specific areas. 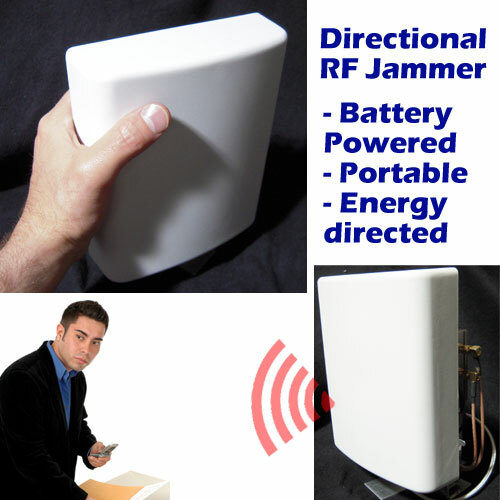 This RF Jammer is extremely helpful when the user wants to focus the RF Jamming energy to target an area in an efficient manner without causing unknown consequences such as loss of RF Jamming energy to non-important areas (behind or on the side). Many users have recommended directional RF Jamming in order to mitigate interfering with adjoining areas that are off limits to RF Jammers and Cellular Jammers. With superior design, the MS2-POR RF Jammer keeps one on one meetings private from cellular phones, as well as surreptitious cellular monitoring transmitters. Our Cellular Jammers also operate on all cellular standards. *All specifications are subject to change without notice. Photos are for illustration purposes only. Actual system may vary. NOTE: IT IS ILLEGAL TO JAM ANY RADIO SIGNAL IN THE UNITED STATES. ** Please Note: This website is intended only as a proprietary notice and does not constitute an offer to sell any type of jamming technology. Legal Notice on Cell Phone Jammers: All Cell Phone Jammers and Cellular Jammers, and their respective technologies including RF Jammers and Bomb Jamming devices, IED Jamming devices, RF Jamming devices, and RCIED Jamming devices in part or whole are strictly regulated by the US Department of State in accordance with the guidelines in the International Traffic in Arms (ITAR) per title 22, Code of Federal Regulations (CFR), Parts 120-130 . Therefore, if you are outside the United States of America, an export license must be obtained. Any sales and any shipments are subject to license approval by US Department of State, and any domestic inquiries may be subject to approval by United States and or United Kingdom government agencies that regulate the use of RF Jamming technologies as well as the above mentioned technologies.